Traditional paper cleaning techniques are not always sufficient for cleaning artefacts. 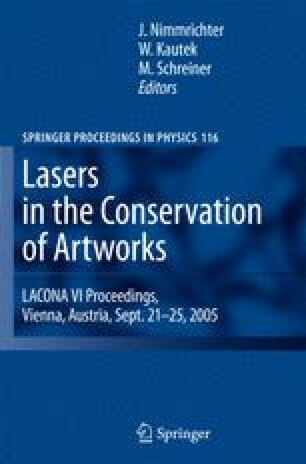 The pulsed laser cleaning can offer a valuable tool for solving problematic cases in paper conservation. Comparative studies of traditional and laser cleaning were performed on historic picture post cards. The results demonstrate the possibilities of partial laser cleaning using nanosecond laser pulses at a wavelength of 532 nm.